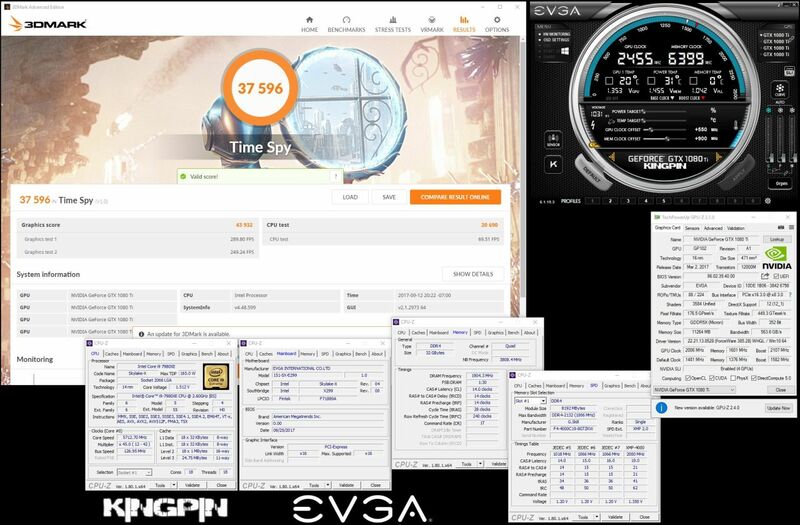 "Using the new Intel Core i9 7980XE CPU at over 5.7GHz on an EVGA X299 Dark and 4 x EVGA GeForce GTX 1080 Ti K|NGP|N’s at over 2.3GHz, allowed me to annihilate the existing 3DMark Time Spy World Record at 37,596 points! 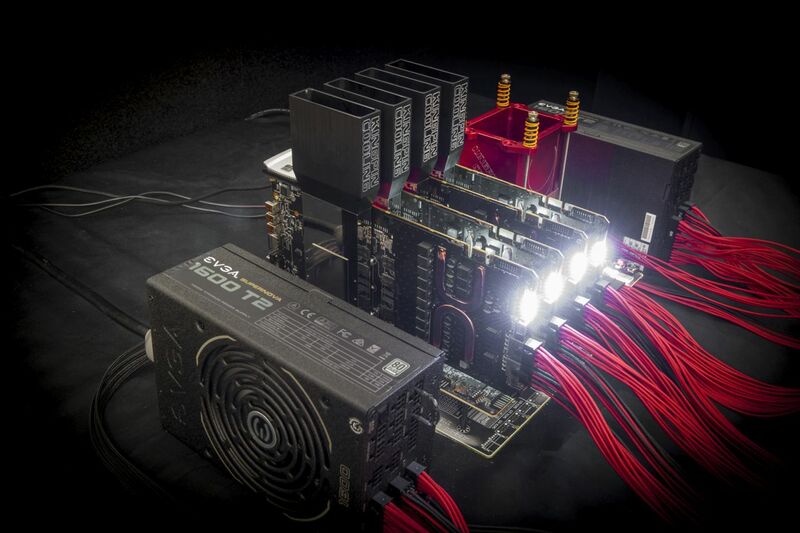 The new Intel Core i9 7980XE CPU, EVGA X299 Dark and EVGA GeForce GTX 1080 Ti K|NGP|N are incredible!" In 3DMark Time Spy, Vince was able to get a score of 37,596, a new World Record! 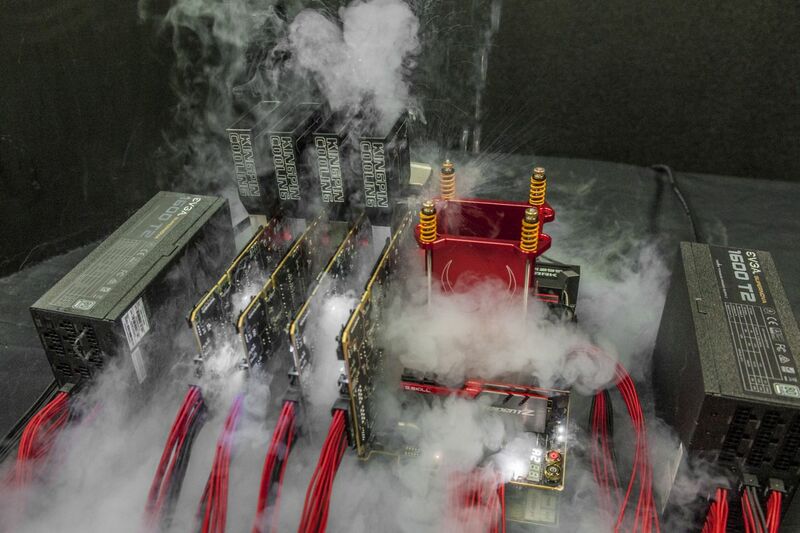 With this hardware setup, Vince was able to break a total 4 World Records!